High quality handcrafted Italian varietals are the focus of Dolio Winery, a family owned and operated artisanal winery in Southwest Washington. Dolio’s core wines include Barbera, Dolcetto, Nebbiolo, Primitivo and Sangiovese. 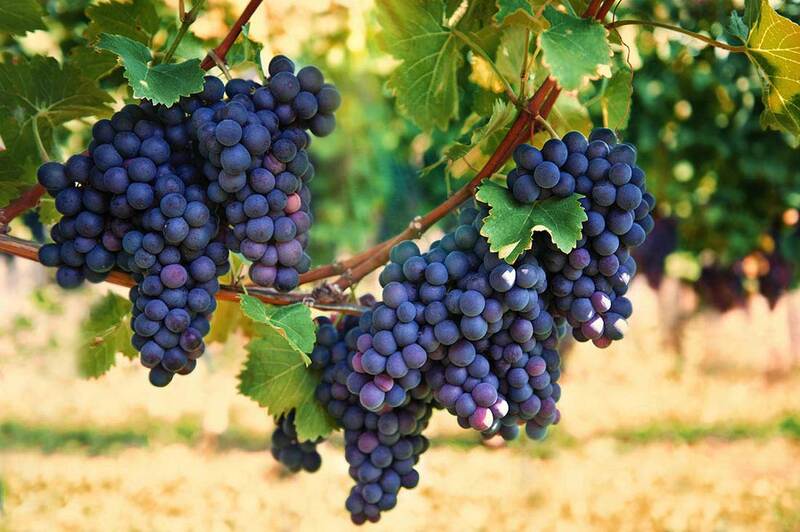 All Dolio wines are produced onsite from carefully tended Washington grown grapes. Our winemaker consistently researches best practices and thoughtfully blends art and science, along with traditional and innovative processes, to achieve the highest quality wines. Pets are not allowed in the tasting room and must be kept on leash while outside. No limousines, vans or small buses after 2:00. Exceptions for wine club members. Please be courteous to others who have come to the winery for adult time. Children must be accompanied by a parent at all times & seated while inside the tasting room. The only people allowed to scream or run in the tasting room are the owners. Just 35 min from Portland, OR, we are nestled in the rural landscape north of Battle Ground, WA. Members agree to a quarterly 3-bottle purchase in the months of February, May, August and November. Club discounts are not applied to specially priced wines. Purchases outside of pick-up months receive member discounts but are not credited toward the wine club commitment. After the first year of membership, you may cancel at any time by simply giving a written notice at least 2 weeks before the next pick-up month. Stop by the winery to complete a membership form. Purchase your first 3 bottles of Dolio Wines. Enjoy Dolio Wines and Wine Club benefits! If you are unable to visit Dolio Winery during a pick-up month, please let us know through a call or email. Wine that is not picked up in the allocation month will be selected by the winery, billed to the member’s credit card on file and held at the winery for 3 months. After this time, the member’s wine allocation may be donated to charitable causes. Enjoy a tasting flight or glass of wine in Dolio Winery’s inviting tasting room while viewing the nearby vineyard as it progresses through the seasons. While small snacks are offered as palate cleansers between tastings, customers who are looking for something more substantial are encouraged to bring along a picnic or snack. Dolio’s Tasting Room provides a relaxed environment for the casual tasting experience as well as a comfortable meeting space for small groups. 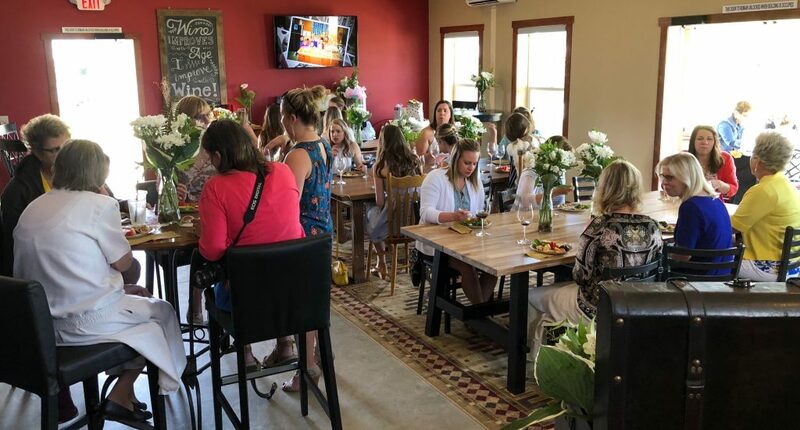 Interested in holding your next event at Dolio Winery? Stop by, see our venue, taste our wines and talk with us about your special event. Deposit required to hold date. Event times are available ourside of Tasting Room hours. $300 minimum wine purchase through tasting fees, bottle purchases and glass pours. Contact us for more information about holding your next special event at Dolio Winery! Treat Mom or that special someone to a delicious and relaxing tasting experience at Dolio Winery. Enjoy an afternoon at Pearson Air Museum sampling wines provided by nearly 20 local wineries as well as small bites from a handful of local craft restaurants. For more information and tickets, click here. Bring on the summer with a stop at Dolio Winery! We have the perfect wines for all of your summer get-togethers.